Are spondylolisthesis exercises effective? If so, can they reduce pain or even help resolve the structural abnormality of vertebral migration? Are exercises better than surgery? Will they make my pain worse? These are all questions that we receive regularly on this website. Patients are obviously under-informed when it comes to the facts of exercise treatment of spondylolisthesis and are certainly not receiving the objective answers they require from their doctors or physical therapists. We have always been outspoken advocates of exercise in all forms, since physical activity and exertion are “must-haves” for a healthy mind and body. We have extolled the various benefits of exercise for more than 15 years in our writings, but have never exaggerated its usefulness in actually curing pain. This article will be no exception to our past highly objective, yet enthusiastic coverage of exercise therapy. If you are looking for the real facts about the benefits and limitations of using exercise to treat listhesis, then you have come to the right place to learn. We are here to provide a very thorough and impartial look at both sides of the often heated argument about using exercise as a dedicated listhesis remedy. We must begin this section by clarifying a particular point that often goes unmentioned by care providers. Exercises are not designed to reverse or cure listhesis. You can exercise all day, every day, and the chance of enjoying even a miniscule improvement in the clinical severity of your listhesis is virtually nil. Exercises are not curative, but instead are both supportive and symptomatic at the same time. 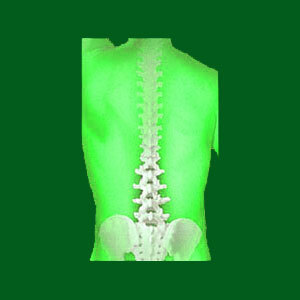 This means that they can help provide support for listhesis issues, as well as provide pain relief, given absolute best case scenarios. Most dedicated exercises that are prescribed for listhesis fall into one of 2 categories of classification: those which provide core muscle strengthening and those which increase flexibility and range of motion. Strengthening exercises and stretches help the muscles of the posterior anatomy gain the ability to compensate for possible spinal instabilities enacted by the listhesis. If the spine is not in any way unstable, then strengthening exercises are less effective as care modalities. 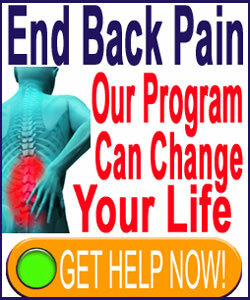 Many doctors and therapists promote the idea that strong back muscles will help support the spine, which is true. However, unless the patient demonstrates a very atypical imbalance or structural defect in one or more back muscles, there is no reason to believe that their present musculature is in any way deficient in providing support. The lumbar paraspinal and other postural muscles are the strongest in the entire human anatomy and are usually more than capable of supporting the spine, even given various structural abnormalities. Flexibility exercises and stretches do not address the listhesis itself, but help to provide increased comfortable range of motion for structures like the hip, abdominal and leg muscles that occasionally suffer tightness and pain due to the listhesis. Some of the most common types of dedicated spondylolisthesis exercises include crunches, reverse crunches and other abdominal work, back extension and flexion exercises, hamstring stretches, piriformis stretches, hip stretches and pelvic tilts. Activity-related exercises that are particularly good for listhesis issues include yoga, Pilates, swimming and general calisthenics. Exercise can address functional ligament and muscular contributors to listhesis. Strengthening the spinal muscles will help to minimize microinstabilities that may be caused by listhesis. Stretching and flexing the body can reduce collateral pain, including sciatica and other expressions of severe listhesis. Exercise encourages the production of organic chemicals that are proven to fight pain. Exercise and stretching encourages an active lifestyle and reduces the chance of any patient succumbing to disability, regardless of the severity of their listhesis condition. Exercise is a constructive therapy option with no real downside to consider. There are few risks of physical activity, as long as the patient is aware of any limits that they should respect when it comes to physical exertion. Some doctors advocate activity avoidance for listhesis patients, citing evidence that physical exertion can worsen their pain and the progression of the vertebral migration. This evidence is a subject of much debate between these care providers and advocates of exercise. We have found little, if any, credible evidence to substantiate the idea that exercise is detrimental to listhesis sufferers, although particular activities might be harmful for certain patients with certain conditions, so care is advised and supervision by a physical therapist is strongly suggested. Ongoing fitness trainer or physical therapist supervised exercise can become a financial burden. Patients without vast financial resources might be best off learning what they need to do to exercise safely and effectively and then weaning themselves off supervision as their confidence grows. Exercise might not prevent a patient from requiring surgery for severe conditions, but then again it might. Exercise certainly will not prevent any patients from seeking an alternative treatment approach at any time in the future, which can not be said for surgical intervention. We detail our own healthy spine routine in our acclaimed Back Exercises and Stretches book, part of our proprietary pain relief program.